We are not ashamed to admit that one of the few things that gets us through the winter months is knowing that Hollywood’s Award Season is upon us. And while we love television and movies, what really keeps us tuning in is the fashion! We love seeing Hollywood starlets out for the night in custom couture because not only does it make us excited about what the designers showcase, but also inspires us to think about what we’d love to see our Shirley & Audrey brides and bridesmaids wear for the upcoming wedding season. In honor of our favorite Golden Globes looks, we’ve put together a few stunning wedding outfits with a certain Shirley & Audrey touch that will definitely wow your wedding guests. One of our favorite looks from the awards show was Gemma Chan, who happens to be one of our favorite gals of the moment (thanks to Crazy Rich Asians! ), and her custom Valentino couture gown. The play on the traditional ball gown with shorts and the unusually striking petrol blue is a winning combination, one that we would love to see for bridesmaids this year. This Badgley Mischka teal ball gown paired with these ombré sequined Aldo heels will have your leading ladies dancing the night away in! Make sure to embellish with a statement earring, like this show-stopping Kenneth Jay Lane pair, a loose updo that is just ever so slightly parted to the side, and a red lip to bring dimension to the blue hues. And finally, fasten into the updo with our Victoria pins for some a polished finishing touch. Continuing with the Golden Globe trend of the unexpected dress/pant combo, Julia Roberts rocked a super chic and super cool Stella McCartney jumpsuit with a flowy train which we envision for an art museum wedding affair. To transform this tailored and modern look into a bridal occasion, we’ve decided to pair it with these bright white Maticevski crepe pants and Maticevski asymmetric top with a train to mirror Julia’s unconventional look. Cascade our Daphne bobby pins into soft waves for an added feminine touch and complement with a sun-kissed, glowy complexion for a refined yet easy-going look. Finish the look with a metallic heeled sandal, like these Sam Edelman shoes plus layers of statement jewelry (we are totally ogling this bracelet (on sale!) and Gorjana stackable rings). Our final Shirley & Audrey take on the Golden Globes is inspired by always stunning Lupita Nyong’o and her vibrant blue Calvin Klein number. We picked this Naeem Khan number for it’s similarly show-stopping hue and full bead work. And while this particular gown is definitely for the wedding guest with an unlimited budget, we thought we’d take a cue from Ms. Nyong’o herself and pair the dress with the exact Aldo shoe she wore with her custom gown. 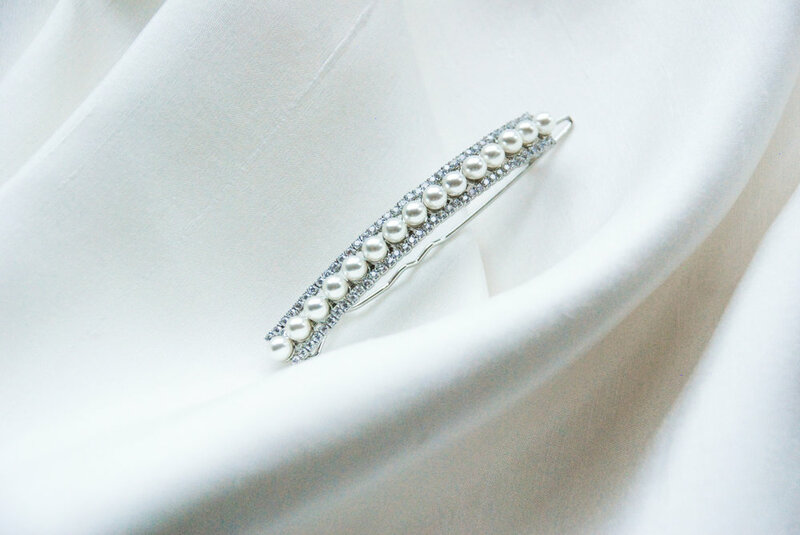 Add some Art Deco inspired accents, like our Pearl Nouveau clip and this bracelet for some extra je ne sais quois. 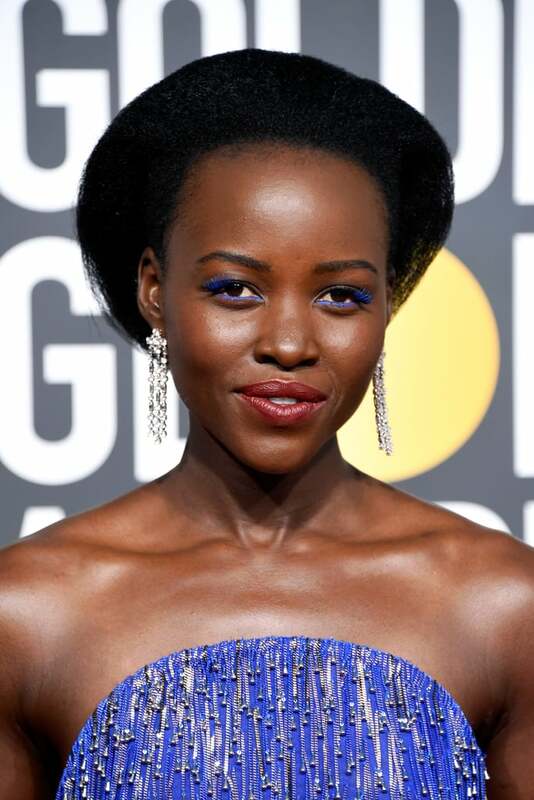 And if you’re as bold as Lupita, which we know you are, don an electric blue eye to complete your look. Unless you’ve been living under a rock, chances are you’ve either heard about, read about, or watched Crazy Rich Asians in theaters (some of us may have seen it twice!). We were hopelessly excited to see a guilty pleasure book of ours come to life and more importantly, the representation of Asians on the silver screen because of our particular backgrounds (Chinese, Korean, Filipina). On top of its cultural significance, we were non-stop swooning over the fierce female characters, locations, food, and most importantly, the crazy rich fashion! One of our favorite parts of the movie, of course, was Araminta and Colin’s nuptials. We had total heart eyes during the wedding scenes, not only because of the extravagant wedding itself, but also because of the wedding guest attire, especially Rachel and Astrid’s outfits. With those two dazzling dresses in mind, we figured we’d translate those into some chic wedding guest looks suitable for even the ritziest black-tie affair. If you really want to channel Rachel’s custom Marchesa wedding look, we’ve found a pretty spot on option! This David Meister floral appliqué gown has a similar ethereal look and feel, from the robin’s egg blue hue to the floral motif to the A-line shape. Pair it with a strappy silver heel, like this pair from Schutz. To top it off, don our Edith hair wreath, which would definitely add that romantic yet glamorous factor like Rachel’s headpiece. Finish your look with this M2MALLETIER clutch for a hint of modern glam. Like Rachel, you’ll surely turn heads like in an outfit like this. For a sleek and modern interpretation of Rachel’s look, we’d opt for this Halston Heritage sky blue number. The silhouette feels more of-the-moment (and will definitely elongate you!). To channel that modern princess hairdo, style loose waves half-up-half-down and add our stargazer hair clips side by side or clip our sheer organza Dahlia into a high bun for an updated crown effect. We’d complete the look with a pair of stunning dark silver lamé heels by Jimmy Choo. If Astrid’s high neck coral gown speaks more to you, we think a dress with a high neck like this cherry red silk Galvan gown would be stunning. Bonus points for it being a lucky color in asian culture and also channeling Meghan Markle’s wedding reception gown by Stella McCartney! We’d add a statement earring, like these gold pearl and diamond Mateo earrings. Although, if you happen to have a pearl and gemstone encrusted pair like the ones Astrid purchases in the beginning of the film, feel free to wear those! Include a pair of classic soft gold heels by Aquazurra and an effortless Edie Parker gold clutch. 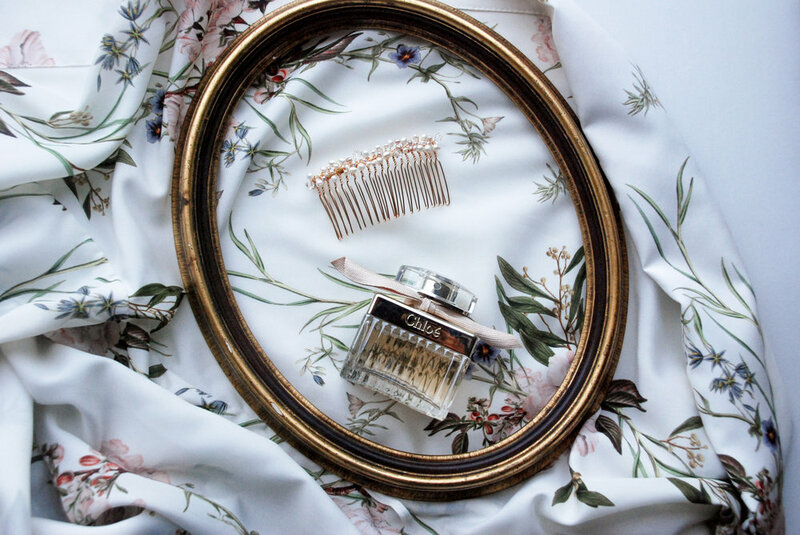 And since Astrid’s style errs more toward the classics, add a dainty touch of Shirley and Audrey with an Eloise pin set tucked into a tousled low bun. For those of you wanting a more coral-colored gown or statement neckline, we think this strapless Halston Heritage column number would look quite effortless when paired with a pearl and gold statement necklace like this one by BaubleBar. Style with a glittery sandal like these platinum Stuart Weitzmans and carry over the pearl theme with our Beatrice fresh water pearl hair comb tucked into a chic french twist. We think Astrid would approve of mixing the classic elements (pearls and a column gown) with more modern interpretations like mixed metals and a statement necklace. One of the most common pieces of advice we received while personally planning our weddings was to “hire a good photographer,” particularly because your wedding photos will shape the way you look back at your wedding for years to come. They document all those moments that you witnessed and the ones that you didn’t because you were hidden away getting ready or stuffing your face with food before you go out to greet all your guests for the rest of the night (speaking from experience!). That’s why finding the right photographer can be such a painstaking task - you’re willing to search high and low for him or her until you find the right fit, which can take a weeks or even months. But how do you know your photographer is your photographer? We’ve outlined a few tips from our own experiences and industry experts on how to know which photographer is The One! Find a photographer that shares your aesthetic. Chances are you picked your dress, venue, accessories, and every other detail with your overall aesthetic in mind. Use that as a gauge for your right photographer. Are you getting married in a romantic garden setting? Do you want an organic, airy feel to your photographs? 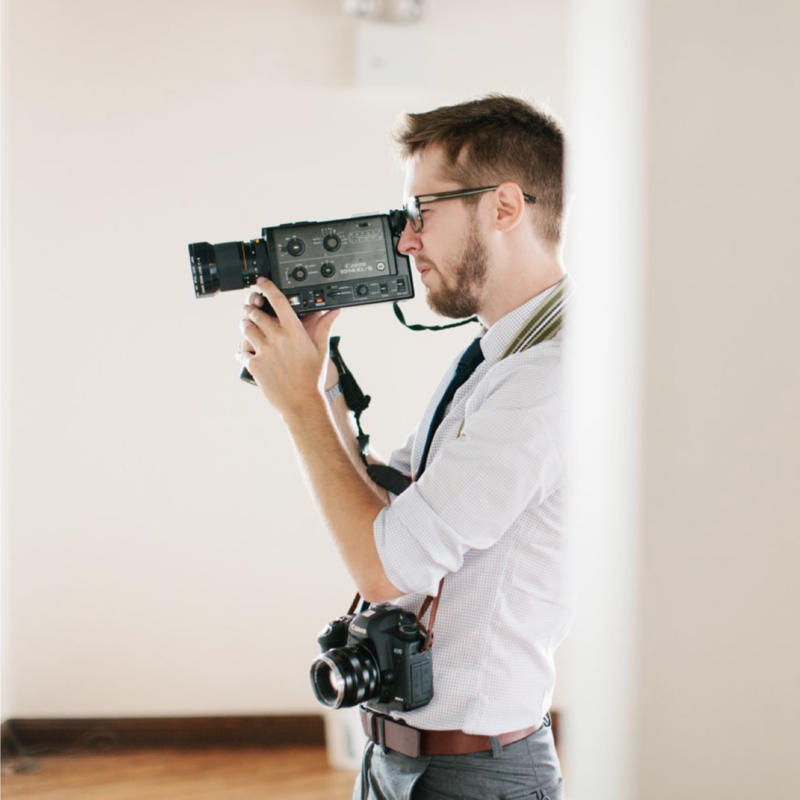 A film photographer might be a better fit and will provide you with photos that have a softer look and feel. Perhaps you prefer a more editorial look and feel or you’re getting married somewhere with less natural light or a moodier locale (think Northern California during June Gloom), you might prefer a digital photographer who can work better in dim conditions and can emphasize the contrasting look you gravitate towards. Peruse online portfolios and weddings published on various bridal blogs (Once Wed, Over the Moon, Green Wedding Shoes, Style Me Pretty, to name a few) to get a sense of the photographer’s particular style. Once you’ve narrowed it down to 2 or 3 photographers, ask to see their photo galleries of past weddings they’ve shot. It will give you a good idea of what you can expect to receive for your own wedding gallery. Set a budget. Your photographer will likely be one of the most expensive aspects of your wedding day, so you have to be mindful of your overall budget. Established photographers (like those featured on Harper’s Bazaar’s list of Best Wedding Photographers and Brides Top Wedding Photographers of 2018 or frequently featured in Vogue Weddings) will likely cost around $10,000 for a full 8-10 hour shooting schedule. And while their wedding packages often include engagement or rehearsal dinner photos and small prints of your wedding photos, their fees typically do not include travel and accommodation. So if you’re getting married in Palm Beach, but you have your heart set on a photographer based out of New York City, you’ll likely be spending $500 or more for their travel and stay (and even more if you’re having an international wedding!). If you cannot justify paying for travel and stay on top of their standard fee, it might be wise to focus your search on photographers based in your city or general area. Another way to keep a budget in check is to be upfront with the photographers you’ve been corresponding with. They might refer you to an assistant or a colleague who can work with your budget but shoots with a similar style in mind. That way, you’ll likely end up with photos you adore and sticking to your budget! That’s a win in our books! Don’t be afraid to ask around. Planning a wedding can be stressful, especially if you’re planning your wedding yourself. Utilize vendors you’ve already secured as resources. If you happen to be using a wedding planner, whether she’s full-service or month-of or day-of, ask her for recommendations. Or maybe you’ve already secured a florist you love. Ask the floral company for a list of photographers they have a relationship with. Aesthetically-minded vendors will likely form bonds with one another and refer each other to clients. There’s a pretty good chance that at least one of your vendors has an established relationship with a few photographers with a similar aesthetic or work philosophy. Make sure you vibe with your photographer. Raise your hand if you’ve ever had your photo taken and you look downright uncomfortable! That forced smile never lies. To avoid such disastrous photos, make sure you interview a narrowed list of possible photographers. Over the phone is great, but over FaceTime or in person is even better. When you ask your potential photographer about their style, work philosophy, experience, it is nice to be able to see their face and make sure they aren’t just telling you what you want to hear. You can also better describe your vision for your wedding photos - candids versus posed shots, what parts of the day you want to highlight most, and what details you want to remember most, etc. When you feel at ease and trust your photographer, your photos will just naturally look better. Considering our penchant for all things floral and garden-themed at Shirley & Audrey, it should come as no surprise that we love the idea of a garden wedding. The lush greenery and fresh blossoms make for a dreamy and romantic atmosphere that can be tailored to your personal style, whether your style icon is Daisy Buchanan and you love all things Art Deco or Elizabeth Bennet and you want a natural yet feminine bridal look or even Kate Moss and you are planning a luxe bohemian fête. A garden setting blends perfectly with any bridal aesthetic, color scheme, time of day, and formality. So in this edition of Bridal Style, we’ve rounded up a four different bridal outfits that we think would be perfect the bride who has her heart set on an outdoor garden wedding. 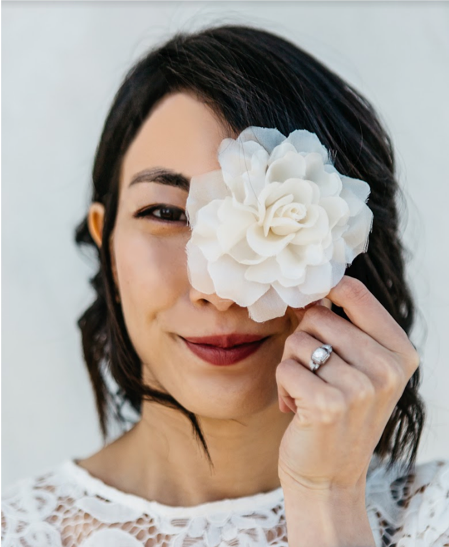 For the classic bride who wants to incorporate floral motifs into as many aspects of the wedding as possible, this romantic Jenny Yoo would be a flattering choice. Accentuate the delicate and textured beading by pairing the gown with a Shirley & Audrey organza Camellia flower fastened to a wavy side part for an understated elegance, Add a sophisticated white pump, like the Manolo Blahnik Hangisi pumps in white satin for a bridal look that will stand the test of time. If you want to incorporate a fairytale spin on your garden wedding, we suggest pairing this Mira Zwillinger A-line floral gown and a matching off-the shoulder cape. After the ceremony, swap a sheer veil for a S&A silk flower clipped into beachy hair (we kind of love this bridal gown paired with our organza Garden Rose). 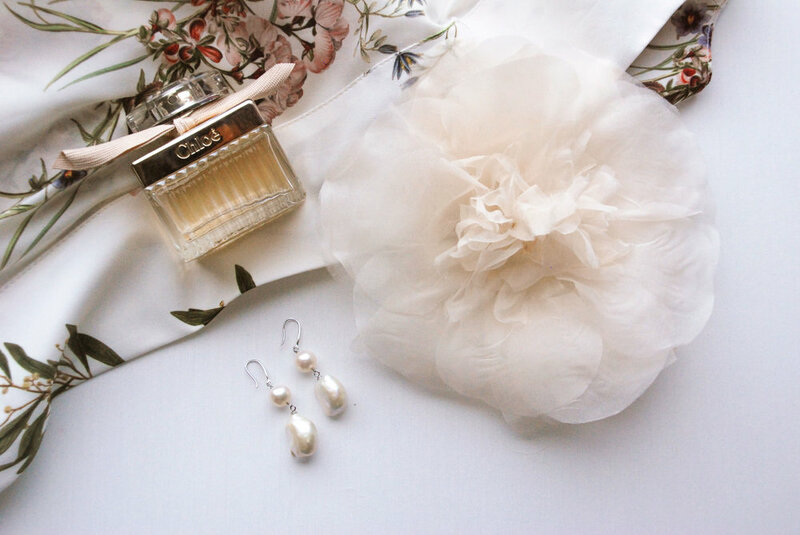 Then add these elegant Mikimoto pearl earrings for some shine and to accentuate the trendy neckline of your wedding gown. Finally, finish the look with these Tabitha Simmons metallic block heels - perfect for walking across the garden landscape. If your wedding inspiration is a glamorous Art Deco affair (think Carey Mulligan’s fabulous outfits styled by Catherine Martin), then this Carolina Herrara column dress is absolute perfection. We love the floral embellished bodice with a back cut-out for a fresh and modern take. The lilac ribbon straps add an unexpected feminine flair that will be sure to pop in photos. A messy chignon would look divine with our new Pearl Nouveau hair clip tucked along the side or clipped in the back to fasten your veil. And for a final touch of glam, because excess is the key to getting your Daisy Buchanan vibes, pair with these glittery hued Christian Louboutin heels! For the bride that doesn’t want to adhere to the traditional floral patterns we usually see at a garden wedding, we think a night time soirée with hints of cosmic vibes would fit the bill. Don a hip constellation themed wedding gown by Cucculelli Shaheen to really wow your guests. And since this particular gown is very intricate, we suggest styling the hair clean chignon with a center part. Accessorize with a S&A Stargazer hair clip neatly fastened next to the chignon. Include a show-stopping pair of Casadei heels to complete the starlet look! Weddings are such a momentous occasion in any couple’s life. Finalizing everything from the venue to transportation to the dress requires months of meticulous planning and preparation, so we love the idea of incorporating a signature wedding cocktail to add a personalization and levity, and well...BOOZE into the process! ;) You can use a signature cocktail to highlight a particular aspect of your wedding, like the color scheme or venue, or a part of your story, like honoring where you got engaged or where you first met. Plain and simple, who wouldn’t want to do a cocktail tasting in the midst of stressful planning?! One cocktail that we think would be a great signature drink is the ‘of the moment’ Aperol Spritz - check below for the recipe! We think the combination of sweet and bitter and herbaceous and fruity tones would be perfect for an outdoor summer wedding or a couple with an affinity for all things Italia. Imagine serving your guests this refreshing bubbly drink on an outdoor terrace during an evening cocktail hour. Plus, how dreamy would the vibrant orange and pink hues of the drink be against a summer sunset? What we love about embracing this signature cocktail trend is that if you pick a classic cocktail, like an Aperol Spritz, you can tailor it to fit your taste. 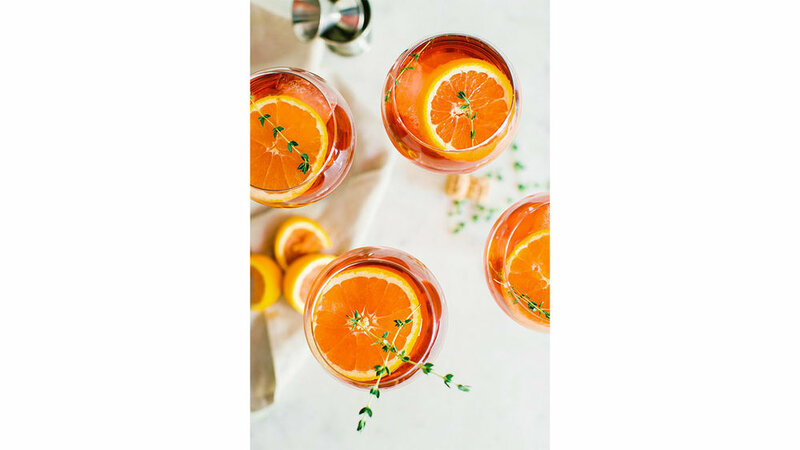 Swap seltzer with a flavored soda water or garnish with a blood orange wedge instead of an orange slice or even add a sprig of rosemary for even more herbaceous depth. Best of all, once you’ve had a few spritzes, you’ll definitely be ready to hit the dance floor and really enjoy your reception! Warm weather calls for vibrant pops of color, so we think the PANTONE color of the year, Ultra Violet is perfect for a late summer wedding, whether you’re in the bridal party or a guest! We love the drama and unconventional even mystical effect this shade of purple holds. And side note, if you’re looking for something different from the “something blue”, violet is another take on the tradition; it’s a symbol of faithfulness. Show some flower power with this gorgeous Mango Floral Maxi Dress, which would be perfect for a summer wedding guest or a rehearsal dinner look! Weave some Shirley & Audrey Emmy pins into a braided half-updo, and throw on some strappy metallic sandals from Stuart Weitzman. Put all your essentials in this Saint Laurent clutch! Channel that 70’s chic, edgy vibe in this Nili Lotan Maxi Dress, which would go perfectly with our Shirley & Audrey Tea Rose in blush clipped into softly brushed out curls. Add some trendy gold heeled sandals by Loeffler Randall, and play up your look even further with a gorgeous lariat necklace from Stone & Strand. We love the pop of purple in the iolite drop stone! 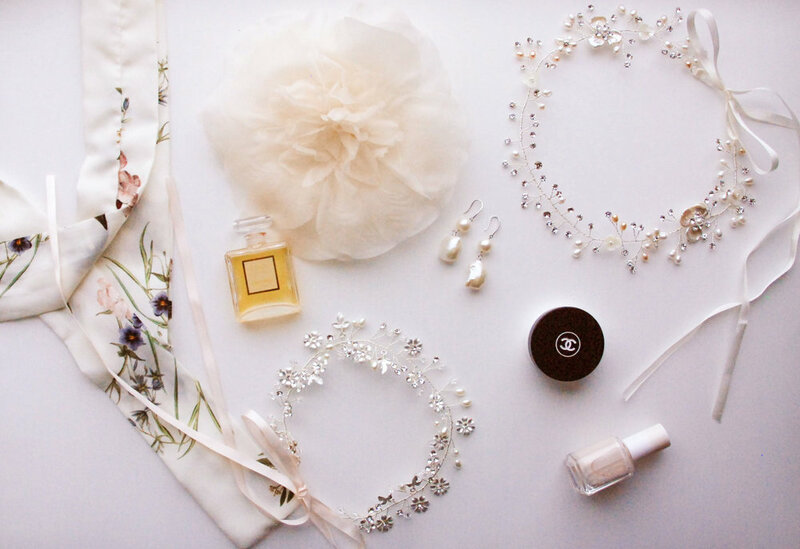 Instead of wearing “Something Blue” try “Something Purple” for your bridal accessories! These lovely Calvin Klein suede heels, along with an Edie Parker acrylic clutch would be a lovely touch on the ultra violet theme. 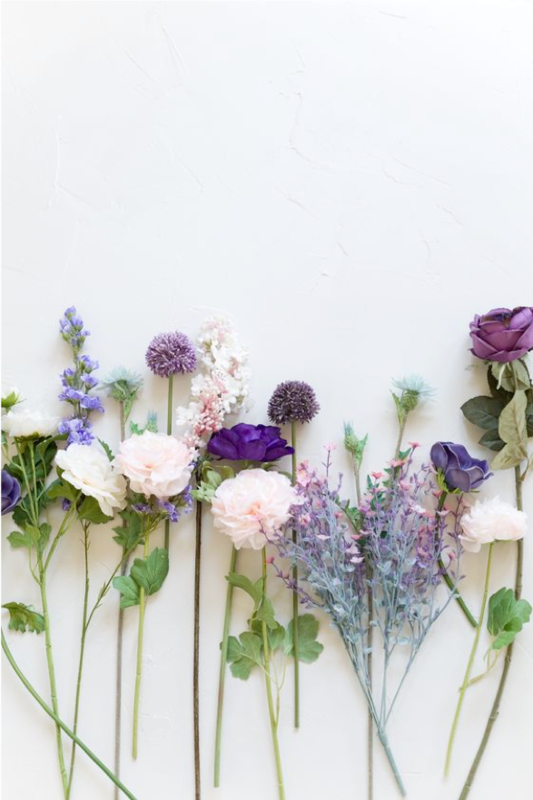 Here at Shirley & Audrey, we love everything about weddings, from finding the perfect wedding venue to picking out a color palette to finessing the floral arrangements. Most of all, we love our brides! We know that each bride has a unique vision for her big day, which is why we’ve created a blog series highlighting how to marry your personal style with your wedding venue. In this edition of Bridal Style, we want to celebrate the bride that is forgoing the tradition and is opting to get hitched at city hall. Whether you’re opting for a more low-key vibe with your nearest and dearest or you’re eloping to hold this sweet and intimate memory between you and your fiancé (very Carrie Bradshaw), we’ve got you! To inspire your bridal style, we’ve rounded up some of our favorite wedding-worthy pieces and paired them with a few S&A accessories to create a few stunning city hall outfits that are sure to wow - even if only you and your partner-to-be are the only ones to see it! We love the idea of a modern city hall wedding! For the bride who loves sleek sophistication, we’d pair this simple crepe maxi dress by The Row with our Beatrice hair comb tucked into a low bun (which would look lovely with a bold brow, a bit of highlighter on the cheeks, and dash of mascara). Add a pair of Jimmy Choo sandals you’ll surely wear for every special occasion, a simple pearl earring set by Blanca Monros Gomez, and this Deux Lux clutch (super affordable! ), and you’ll be good to go for your big day! But don’t forget to drape a leather biker jacket, like this one from ALLSAINTS, over your shoulders for a seriously cool bridal moment. If your style leans more towards the romantic, we’d love to see an S&A city hall bride wear our Emma hair pins tucked into a braided crown with the super feminine Ulla Johnson Lenore midi dress. Add a hint of blush and a pinky lip for a soft beauty look. And to top it off, we’d add a pair of Sophia Webster metallic heeled sandals, a stunning white topaz earring by EF Collection, and a small bouquet of seasonal flowers to add another layer of romanticism to your big day! We totally get that some of our brides prefer the ease and sophistication of a jumpsuit over a dress but still want a bridal moment. For that, this jumpsuit by Aijek would definitely fit the bill. The ivory color and embroidery feel traditional while the neckline and wide-leg silhouette are right on trend. Pin our Garden rose in organza onto the waistline for added texture and style, and then complete the look with these Vince Camuto satin heels in ivory and a simple J.Crew cardigan in white. Feel free to add a pop of color to this all white outfit with a contrasting vibrant red lip to really wow your fiancé. If your style icon happens to be Bianca Jagger, take a cue from our very own Shirley and Audrey Flutter S/S 18 Collection and rock a chic pantsuit! We personally love this jacket and pant combo by Sandro (bonus points for it being on sale at the moment!). 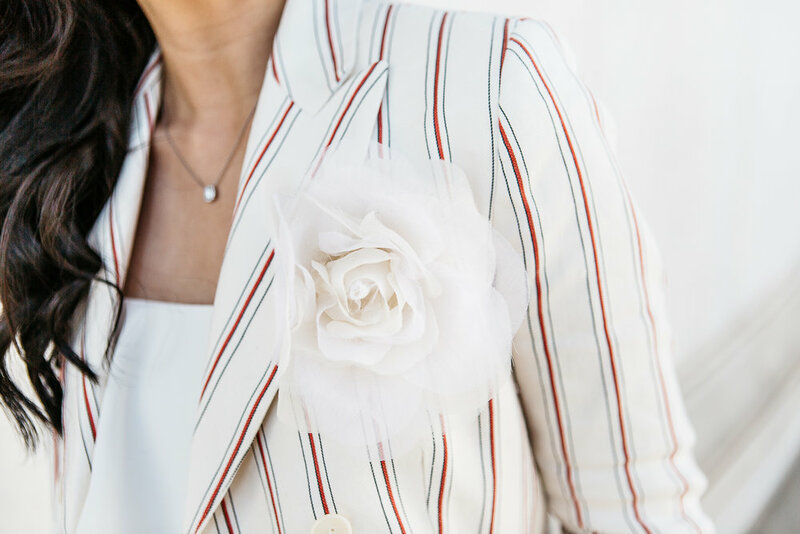 Pair your pantsuit with our our Tea Rose sheer organza flower fastened onto your jacket or pinned into voluminous beach waves for that iconic mix of rock and roll and boho-chic. Include a statement shoe like these heeled sandals by Jennifer Chamandi and a subtle smokey makeup look, and we guarantee you’ll be turning heads at city hall! 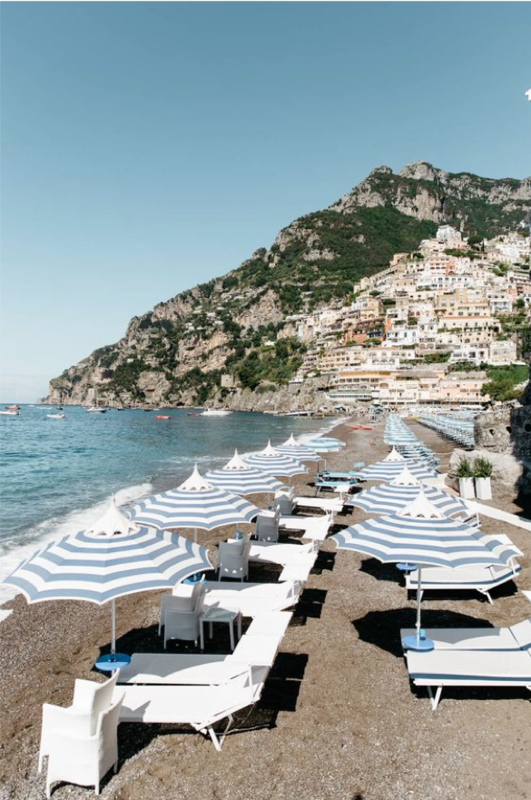 While our everyday style at S&A tends to lean more towards whimsical classics and timeless accessories à la Audrey Hepburn, there is something to be said about the vibrant glamour of the Amalfi Coast, especially if you find yourself honeymooning in this part of the world. And whether you’re relaxing on the picturesque, umbrella-lined rocky beaches of Positano, soaking in the beautiful architecture of Amalfi, or taking a leisurely stroll through romantic gardens of Villa Cimbrone in Ravello, you’ll feel utterly inspired to dress the part of a Italian movie star (think bright colors, ruffles, fun prints, and fabulous accessories like the very on-trend cat eye sunglasses we’ve been seeing everywhere). To help you achieve that Sophia Loren vibe, we’ve rounded up a few fashionable items that will see you through an unforgettable Italian honeymoon - or any beach getaway - and outlined when and where these pieces will make the most impact! This cute and affordable structured straw bag would be perfect for strolls and shopping for handmade leather sandals along the colorful streets of Positano. Wear it with a breezy yellow dress, like this one from Anthropologie, as an ode to the lemon trees prevalent in this region of Italy, and a pair of espadrilles for comfort. Add a contrasting Gucci floral print scarf and fasten around your neck or into a headband for some extra style. Throw on a cardigan and you’ll be all set for a casual lunch by the sea. Take a cue from the floral and geometric ornate ceramic tiles found all over the Amalfi Coast and rock a feminine, patterned swimsuit like this Tory Burch one-piece. Add these fun Roberi & Fraud cat eye sunnies to protect your eyes while sunbathing on the rocky beaches or swimming in the bright blue Tyrrhenian Sea or floating in the majestic infinity pool at Monastero Santa Rosa. Make a bold statement when dining at the famed hotel Le Sirenuse’s romantic, Michelin-starred restaurant La Sponda with this white and blue ruffled MISA dress and Alexandre Birman Clarita heels. Personally, we’d love to see this outfit paired with a Shirley & Audrey sheer organza Dahlia tucked into a messy updo for a romantic look that befits one of the most romantic restaurants in the world. Look up the definition of “blushing bride” and, chances are, you’ll find something along the lines of “modest and virtuous.” But can we all just agree that this all a bit, well, outdated? At S&A, we like to think the modern bride embraces her own intuition. If she wants to wear a non-white dress or electric blue disco-ball shoes (in my case) then she should do it–and own it, too! That said, we also do love a "blushing bride", but we mean that in the literal sense–as in, we’re still obsessed with the millennial pink trend...sorry, we’re not sorry! If you’re feeling hesitant about going for this all-rosy look, check out our elegant pieces for a little inspiration. In the mood for soft, romantic touches? Our silk flowers give off the perfect dreamy vibes. Or, if you’re looking to add a glitzy, glam accent to an understated gown, our hand-wired hair accessories should do the trick. And when you’re not starring in your own wedding, these pretty-in-pink pieces pair easily with that laid-back summer dress–and glass of rosé! 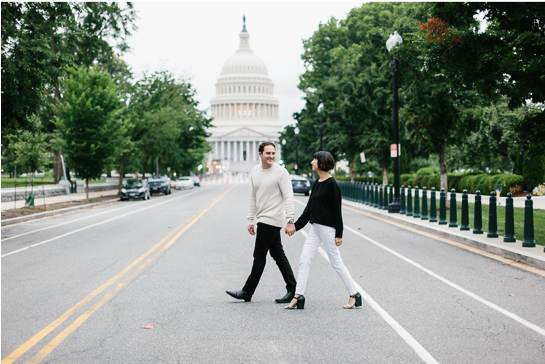 Where are you from: I hail from the Sunshine State but made my way up to Washington, D.C. for university (where I met Shirley!). After college, I moved to Chicago to be with my now-husband. We lived there for four years, but we recently relocated to Seattle for his work, so I have basically spent the past ten years slowly making my way from the East Coast to the West Coast! Favorite Accessory: Similar to Shirley, I adore my engagement ring. I happened to see this particular style while perusing some of the jewelry boutiques in Chicago and was immediately drawn to how delicate and feminine the vintage-inspired ring was -- a micropavé band, a slightly geometric halo, and a timeless round center stone. A few months after showing my husband this particular ring, he surprised me with a sweet proposal in my childhood home, which made me love my ring even more. It is a great reminder that you can know exactly what you want and who you want to do life with, even at such a young age. Secret Talent: I can touch my nose with my tongue! It makes a great party trick. Favorite Destination: I have two! The first is Ravello, Italy. 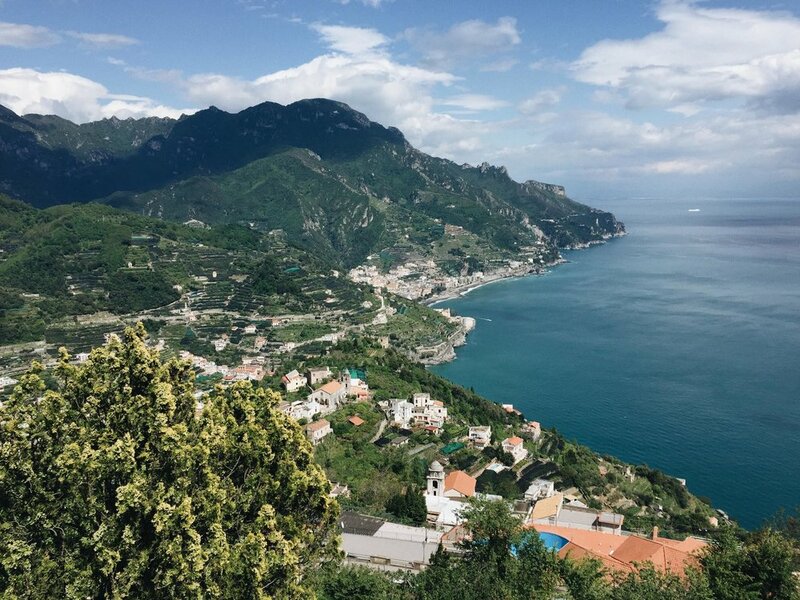 My husband and I hiked all the way from Amalfi to Ravello and then back down while on our honeymoon. We spent the whole day laughing and talking while walking amongst the lemon groves and in and out of the towns along the way. And once we arrived in Ravello, the views were absolutely breathtaking! The greenery, cliffs, and bright blue water cannot be beat. I highly recommend hiking if you find yourself on the Amalfi Coast. The second is Nashville, TN. My husband and I frequently visited Nashville when we were living the Midwest and loved it so much that we got married there almost three years ago! 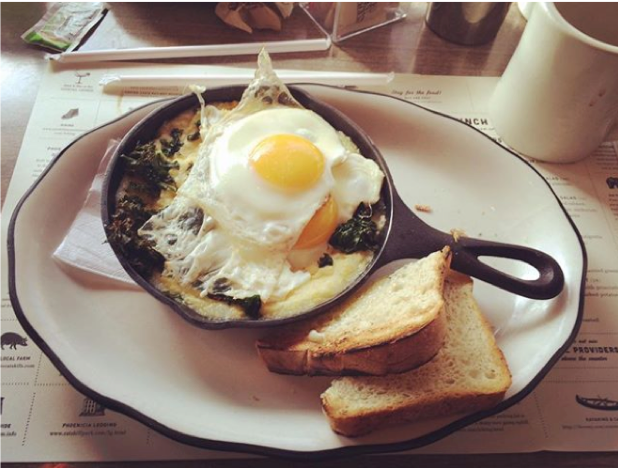 We love how young the city has become and how amazing the food scene is now. Plus, you can’t beat some good, old-fashioned southern hospitality! Describe Your Perfect Saturday: Ideally, I’d start my day with a piping hot latte, some soft scrambled eggs, and a buttery french baguette. After breakfast, I’d throw on a pair of jeans, a vintage tee, and my favorite Chloé ankle boots and head to the farmers market with my husband to buy baked goods - for bribing my nieces and nephew - and fresh fruits and vegetables. We would spend time with family for the rest of the afternoon before the two of us head out for a leisurely sushi dinner where we’d spend a majority of the night laughing at the weird things my nieces and nephew do and say. Bonus points if I get to dress up a bit in a cool suit or an Ulla Johnson dress! Source (from L to R): Wedding photo by Rylee Hitchner; bouquet shot by M.K. Sadler; personal photo of Chicago by Anna; personal photo of Nashville by Anna; wedding jewelry photo by Rylee Hitchner; personal photo of Ravello by Anna; photo of Anna by M.K. Sadler; Ulla Johnson backstage via Ulla Johnson. Role: Essentially, I do a bit of everything for Shirley & Audrey, but I mostly do a lot of design work. My job generally entails: designing (ranges from our pieces to packaging to lookbooks), maintaining the website, and shipping orders out to our lovely customers! Where are you from: I grew up in Connecticut, but I was actually born in Seoul, South Korea. Then I went off to art college in Providence, RI for a bit and graduated from RISD in 2017. After traveling around for a bit and interning for a while in Korea, I came back home to Connecticut and started working for Shirley & Audrey (puttin’ my art degree to some use, yeah)! Secret Talent: Coding! I’ve only recently gotten into it and been doing it for about 2 or 3 years now, so I’m still such a novice at it. To me, the idea of exploring what possibilities there are within the html/css coding structure is amazing. Coding is a little bit like...it’s like putting a blindfold on and being given an object that seems unfamiliar in your hands, so you’re invited to explore it and attempt to figure out what it is actually. Until finally, you understand what that bit of coding means and you have that “Eureka!” moment! It can be a frustrating yet rewarding experience at the same time. Favorite accessory: I’m obsessed with leather jackets! I’m not even kidding. I have at least 3 leather jackets in my closet right now: two of them are black (one’s more for fall/winter and the other’s spring/summer) and the third one’s a beautiful biker jacket that has a brown/beige color, which is perfect for fall! ❤ Why leather jackets, you ask? Well, to me, leather jackets have that cool vintage vibe and remind me of particular icons like, James Dean, Marlon Brando, Sandy from Grease, and so much more! Who wouldn’t want to look just as cool and chic like them, rocking a killer leather jacket? Favorite destination: Hm, I have two top favorites that I can definitely say for sure. 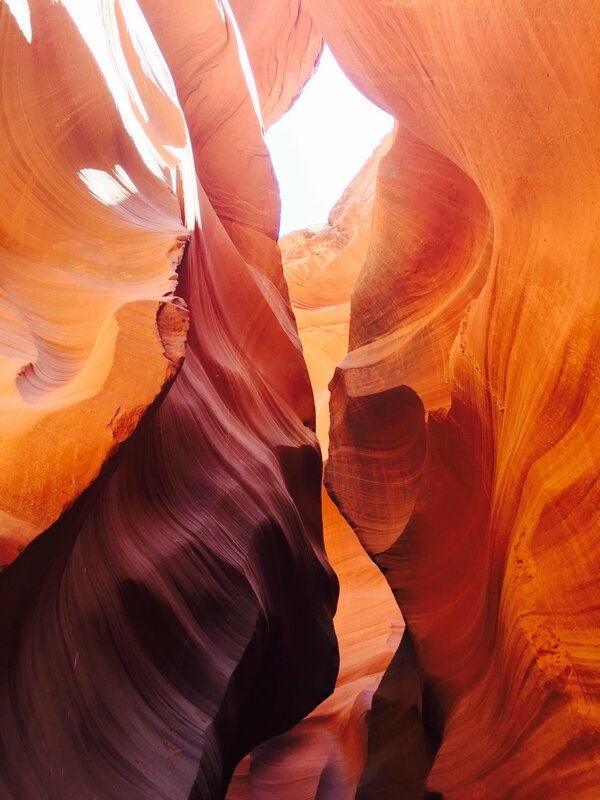 My first favorite is the Grand Canyon and Antelope Canyon. I like to think that I thrive in warm weather areas, so I absolutely loved the desert! It was so refreshing in a way to see another kind of beauty in such blistering hot conditions. And lastly, Kyoto, Japan, which is famous for its gorgeous temples and the Imperial castles that still remain. I only visited for a day, but it was still enough for me to get an idea of how incredibly humbling it was, to stand in such sacred places. I know I want to go back and visit again! Favorite Artist: Frida Kahlo, definitely. I’ve always been fascinated by her stories of struggle, pain, and emotion that’s conveyed through her vibrant artwork. I think it’s incredible that out of her pain, she was able to create art from it. In a way, she was using art to help face her demons, channeling all her feelings into every brush stroke that was applied onto the canvas. What I also like about Frida Kahlo is the fact that she wasn’t afraid to speak her mind. To me, I find that inspiring, as an artist, because it is so important to find your own voice in a world that is starting to become very loud and chaotic, with all this technology and social media. 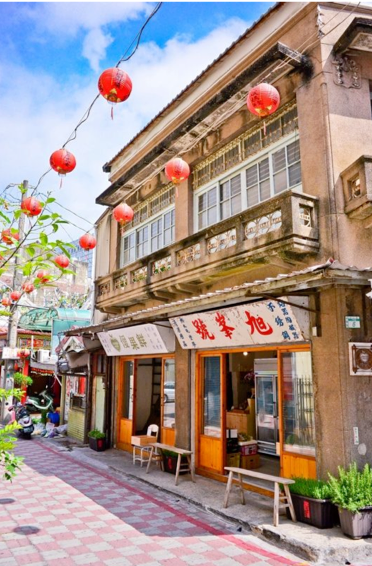 Where are you from: I was born in Taipei, Taiwan and came to the US when I was 18 years old. Since then, I’ve lived all over the country, from California to Ohio and then to Connecticut. Favorite food: A chinese puff pastry with date paste filling. I have a strong memory of eating this dessert probably around the age of 7 years old. My father brought it home for Chinese New Year. I can remember me and my four younger brothers sitting around a table eating the dessert in quiet just enjoying every bite! 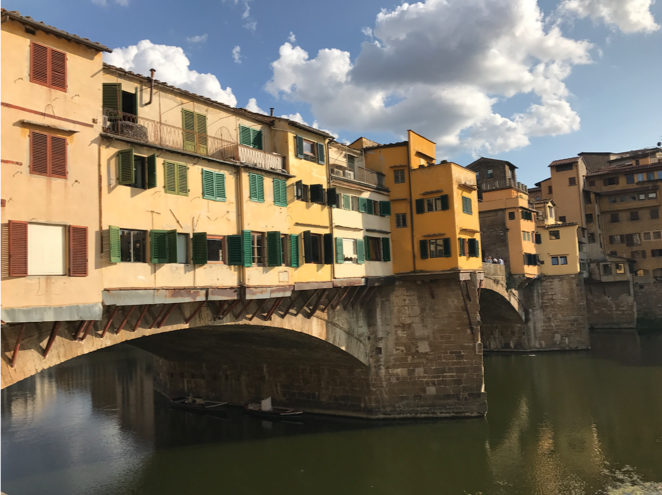 Favorite destination: Florence, Italy. Walking through the museums you’re surrounded by the most beautiful works of art. But the beauty is not limited to inside the museums, it’s a part of the Italian culture. Being there, you come to learn what it really means to enjoy life. I had one of the best meals of my life there. We were sitting in the middle of a vineyard and eating the most delicious pasta. I was completely living in the moment which is hard to do when we’re always go-go-go around here! Best travel tip: I have a few since I travel a lot. 1. Always travel with a four wheeler suitcase; it’s perfect for resting your handbag on so your arms don’t get sore from dragging everything around. 2. Bring a good travel pillow. It’s the only way I can get good rest on those long flights! 3. Pack noise cancelling headphones. I’m a light sleeper so they also help me get good sleep. Plus they’re great for catching up on movies during international flights. 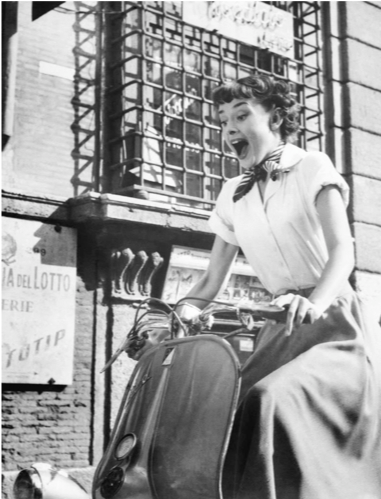 Style icon: Ever since I was young, I loved watching Audrey Hepburn’s movies, especially Roman Holiday. While I was in junior high school in Taiwan, we chose our American names, so I of course chose Audrey! And I would even cut my hair to match her hairstyles. To me she is an icon of elegance but she also represented a playful and youthful spirit. I liked that she showed people you can be both! Where are you from: After schooling in D.C. and working in NYC, I’m back in my home state of Connecticut! Favorite accessory: My vintage engagement ring. It originates from France during the art deco era. My husband and I found it at Erica Weiner which is located in my favorite neighborhood of NYC, Nolita. I love the unique design of the setting, especially the “links” on either side which was believed to symbolize everlasting love. I’ve always loved anything vintage, from clothes, furniture, to jewelry. I’m drawn to the unique stories and fine craftsmanship that last through the decades. I’m constantly inspired by vintage designs which is reflected in our Shirley & Audrey pieces. Secret talent: Fencing! I competed in the Junior Olympics when I was a teen. Favorite destination: It’s a tie between Avignon, France and the Catskills in NY. Avignon is the most charming and beautiful place I’ve ever been. Just aimlessly strolling through the town was amazing because everywhere you look is a scene right out of a painting. It’s exactly how you would picture the countryside in France! And the Catskills is my favorite getaway for a long weekend. It’s where my husband successfully convinced me that camping can be fun. ;) It’s also where he proposed to me years later. I love hiking around and taking in all the natural beauty followed immediately by chowing down a hearty meal at the Phoenicia Diner! Style icon: I’ve always looked to women in the past for inspiration. There are so many women that I adore with varying styles through many decades, but what they all have in common is a way of how they carried themselves. When you see a woman feeling her best, she’s looking her best! It’s all about the attitude! Welcome to Shirley & Audrey's Blog! We are so excited to be posting our first blog entry for Shirley & Audrey! We wanted to start this blog to inspire the bride-to-be going through the crazy but special time of planning her wedding. We’ll also be sharing with you our journey as a budding business in the industry because behind all this, is a small group of women working their butts off! Follow along as we share the creative inspirations behind Shirley & Audrey, our insights into wedding planning, and reflections on life in a women run company. Sign up to receive our newsletter and keep up with the latest at Shirley & Audrey!